Former U.S. Rep. Steve Stockman, R-Texas, said Friday he will be vindicated in the conspiracy case against him while his lawyers brushed off the suggestion a "deep state" shadow government was behind his arrest. 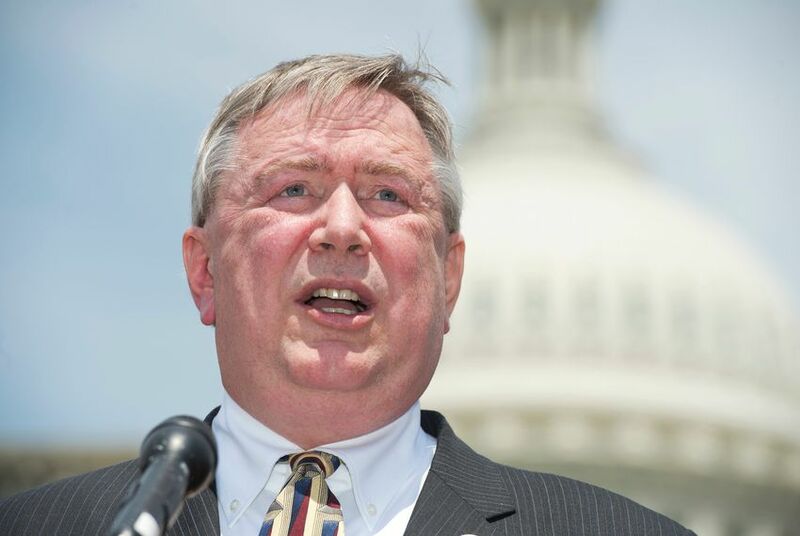 HOUSTON — Former U.S. Rep. Steve Stockman, R-Texas, said Friday he will be vindicated in the conspiracy case against him, while his lawyers brushed off the suggestion a "deep state" shadow government was behind his arrest. "We're not here to prove conspiracy theories," Shaun Clarke, a lawyer for Stockman, told reporters. "We're here to vindicate an innocent man, Steve Stockman, and that's what we're going to do." After an initial court appearance a week ago, Stockman had reportedly blamed his arrest on the "deep state," a term used to describe political enemies in the federal bureaucracy that has gained prominence under President Donald Trump. Stockman has been charged with violating federal election law, allegedly conspiring with former congressional employees to funnel money from a charity to his campaign. Stockman made a brief appearance Friday afternoon in federal court, where a preliminary hearing in the case was set for April 11. Flanked afterward by his lawyers and wife, Stockman made a short statement to reporters, saying, "I think ultimately we'll be vindicated." "We've just met Steve, but a couple of things have been pretty clear," Clarke told reporters. "Number one, that he's a man of faith. Number two, that he's a fighter. And three, most of all, he has tremendous faith in the Constitution of the United States of America." "Steve has said that he's going to fight to clear his name," Clarke added, "and we're going to be right there next to him, fighting to do it also." Stockman served twice in Congress: first from 1995-1997 and then from 2013-2015. He gave up his seat to unsuccessfully challenge U.S. Sen. John Cornyn, R-Texas, in the 2014 GOP primary.